Set for its 2nd annual running just as summer is getting started here along the Little Bay de Noc waterfront on Michigan’s Upper Peninsula, at the northern tip of Lake Michigan, the MISH Waterfront Half Marathon features a gorgeous run that starts and finishes in front of a hotel overlooking the bay, and runs alongside the water for most of the route. 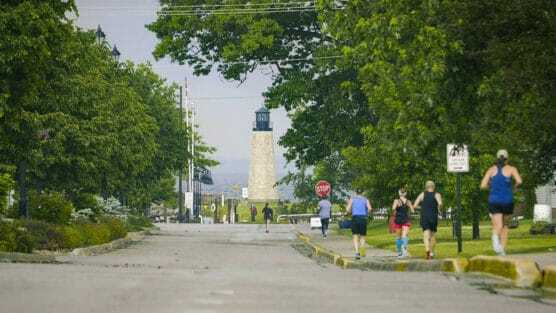 Runners will start the out-and-back course for the race on P Road in front of the Terrace Bay Hotel, known for its stunning views of Little Bay de Noc, named for the native American tribes that lived here centuries ago. From there, the race unfolds heading north along P Road and U.S. Highway 2, which leads into the town of Gladstone, home to just shy of 5,000 year-round residents. Shortly after they pass the mile 2 marker, the race takes runners into Van Cleve Park, where they’ll run along the trails that wind through the park and look out onto the white sands of Gladstone Beach off to the right. They’ll continue heading east along the shoreline, passing by the Gladstone Yacht Club on their way to the Gladstone Bay Campground and Saunders Point. The race will then wind through a few trails inside the campground before turning onto Delta Avenue and Railway Avenue. Next, the race heads north around the northern edge of town, to where it meets up with Lake Shore Drive. 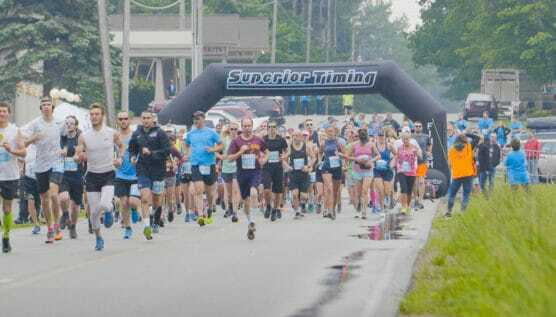 There, runners will make a roughly 2 1/2-mile-long out-and-back stretch (with the turnaround point near the Brampton Township Hall) and then head back south toward Gladstone again. They’ll finish up the second half of the race with a long, last couple of miles along the highway alongside the bay again, and then cross the finish line back at the Terrace Bay Hotel. Don’t expect big changes in elevation — the lowest point on the course lies at just over 580 feet above sea level, while the highest tops out at just over 612 feet. 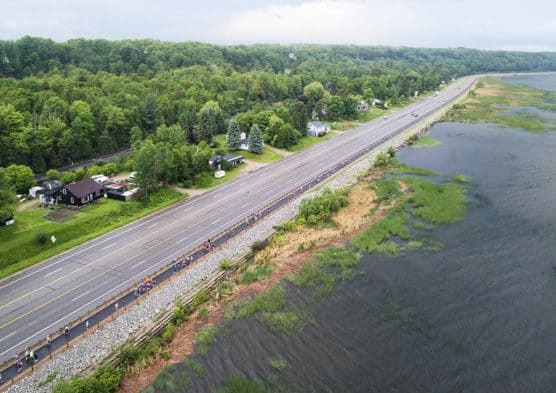 Nestled along the shoreline of Little Bay de Noc, along the southern shore of Michigan’s Upper Peninsula, Gladstone typically sees mild to moderately warm temperatures in June, its third-warmest month of the year on average, and sees just over 2.5 inches of rainfall for the month. See the race route map for the MISH Waterfront Half Marathon here. 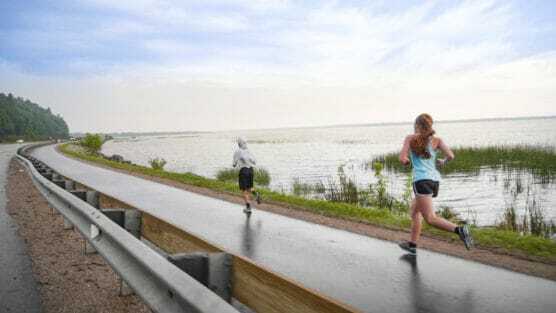 To reserve your spot in the 2019 running of Gladstone’s MISH Waterfront Half Marathon or 10K race, register online at RunSignUp.com here. Ever run in the MISH Waterfront Half Marathon? Share your impressions here, as well as anything you learned about the race that you think other runners/walkers should know.